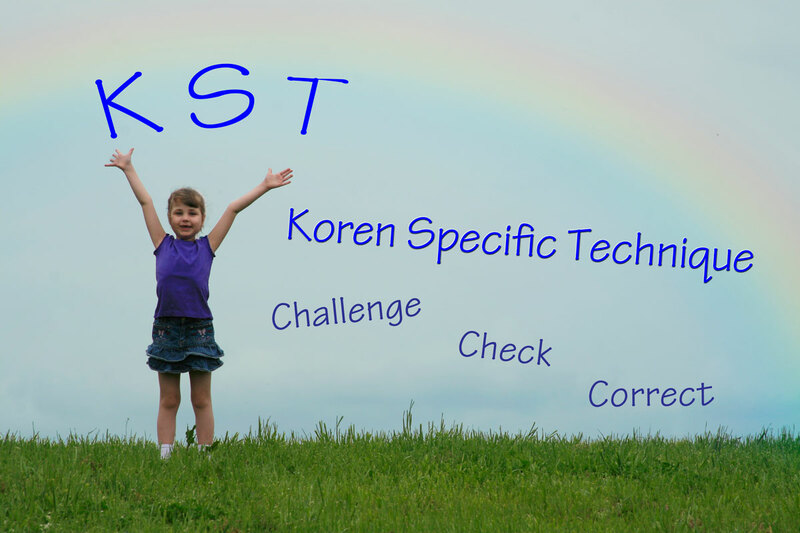 In this office we offer a unique, breakthrough approach to patient care called Koren Specific Technique (KST). There is no twisting or turning, “cracking” or “popping” of joints with KST; instead you receive gentle specific corrections to your spine and structural system. Most adjustments or corrections are done with you standing or sitting. KST allows us to quickly, easily and gently check and correct (or adjust) your body for subluxations, wherever they may arise. This includes your cranial bones, TMJ, entire spinal (vertebral) column, sacrum, coccyx, discs, hips, sternum, ribs, femur heads (upper thigh bones), shoulders, knees, feet, hands and anything else that needs correcting. Subluxations may be caused by physical, chemical or emotional stress or trauma. Our purpose in this office is to remove this stress from your body/mind complex so that you may become physically and mentally healthier. People have many layers. After the correction of what the body is showing at the time, older injuries, older distortions, older subluxations and older symptoms (both physical and emotional) may surface to release. The release and healing of old injuries is known as “retracing” and is sometimes part of the healing process. On occasion patients have reported “cleansing” symptoms such as diarrhea, pus, mucus, headache, fever, etc. as toxins leave the body. These symptoms are usually temporary. It is helpful to be told if unusual symptoms arise. These symptoms may take the form of emotional releases: old memories coming up or unusual dreams. The first step, challenging, is part of the analysis procedure. In a relatively short period of time the entire structural system can be checked: skull, spine, discs, hips, ribs, sternum, shoulders, arms, legs, hands, feet – literally anything that is out of position can be analyzed. The second step, checking, tells us if the body part is in its proper position. The base of the skull is used as a yes/no device. Thus we have a binary or yes/no system telling us if an area needs or does not need to be corrected or adjusted. This system is akin to muscle testing (applied kinesiology or AK), but more quick with less effort. Correcting, step three. When an adjustment is needed the area is corrected usually using the Arthrostim™ adjusting instrument. The ArthroStim™ is an FDA approved instrument developed by IMPAC technology in Oregon. It has been continuously refined and perfected over its 22-year history. It introduces energy/force/information to the body to realign segments and remove nerve pressure at a speed of 12 “taps” per second (12 hertz); it is a fast, accurate, low force and controlled adjustment. The ArthroStim™ gives patients a very specific adjustment, meaning that only the segment that is out of position is adjusted; there is no twisting, turning or “cracking” of joints. This technique permits adjusting in different postures. KST is very gentle and yet very powerful. Patients usually notice dramatic changes from the first visit. Most people report a feeling of ease, relaxation and well-being as their structural nerve stress (subluxations) releases/diminishes. Some people feel very relaxed and they should listen to their body and go home and sleep if at all possible. The next day some people feel as if they’ve had a good workout, often in places they never knew they had. This is usually felt only after the first adjustment, is temporary and usually disappears within a short time. With KST, your body will likely hold its corrections for a much longer time so you can go for longer periods between adjustments.